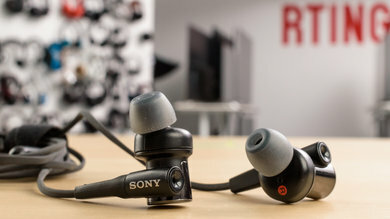 We have currently reviewed 22 Sony headphones. They're a versatile brand that offers affordable headphones for mostly casual listening. However, they do have some pricier models that deliver more features and a better-balanced sound. Headphone Variety. Sony has a diverse lineup of headphones that we have yet to test. They span the range from cheap, semi-open sports earbuds to really expensive over-ear headphones. Above-Average Sound Quality. Most of the higher-tier headphones from Sony have a decently balanced audio reproduction that's good for both casual and critical listeners. Even their Bluetooth models have a better sound quality than comparable brands, thanks to the LDAC codec. Inconsistent Noise Canceling. Although Sony has a few models that block a phenomenal amount of noise, like the MDR-1000X, most of Sony's noise canceling headphones have a mediocre-at-best performance. Premium Price for Good Headphones. The better-performing Sony headphones are comparatively more expensive than other brands. Sony has a lot of affordable and cheap headphones, but they usually have a poor build or sound quality and inefficient noise canceling. Overall, Sony has a varied lineup of headphones for multiple-use cases. Most of Sony's lineup delivers an above-average sound quality, especially the pricier models. Unfortunately, this also means that Sony's best sounding and performing headphones are typically at a higher price than competing brands. They also sometimes struggle to get noise cancellation right, but more recent models like WH-1000XM3, WH-1000XM2 and the in-ear WI-1000X succeed. Sony has a vast lineup but does not have a clear naming strategy. 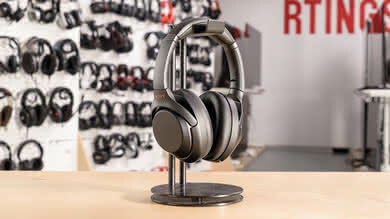 They have some specific lineups that cover different types of headphone models, like the extra bass lineup that covers over/on ears and in-ears, but some of their better-performing headphones with features like wireless and noise canceling share the same naming convention as featureless wired headphones. MDR-XB = The Extra Bass lineup that delivers a more powerful low-end. MDR-# = The audio-quality oriented lineup that can be feature-packed or simple wired headphones. MDR-Z = The premium lineup that focuses on delivering the best sound quality (but they're also quite pricey). MDR-ZX = The more budget lineup with more expensive variations, geared towards casual everyday use. MDR-AS= The sports lineup mostly consisting of in-ears and semi-open earbuds. The best Sony headphones for mixed usage are the WH-1000XM3. They're an updated version of the WH-1000XM2 with a better headband design and a bit more control over their active feature with the provided companion app. They perform just as well for commute and travel, and they're versatile enough for casual use in different environments. If you need a good pair of noise-canceling headphones to reduce the ambient noise of your daily commute, then the WH-1000XM3 are an excellent choice and one of the best noise-isolating over-ear headphones that we have tested so far. The MDR-1A are simple and straightforward headphones with a lightweight yet sturdy build and a great sound. They do not have as many features as the WH-1000XM3, but they deliver a comfortable critical listening experience that's well-balanced and sounds good with any track. If you don't need any additional features and just want the best audio quality that Sony has to offer, then get the MDR-1A. 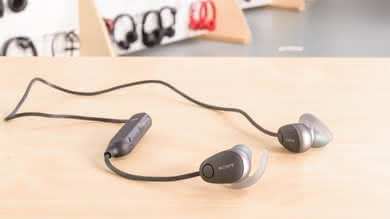 The best Sony headphones for sports are Sony WI-SP600N. These are noise canceling wireless headphones with a high-end and durable design. They are breathable and stable enough for sports, and come with a variety of gel tips and stability fins to help you find a comfortable fit, which is great for exercising. Unfortunately, their noise isolation is not as efficient in noisy conditions. They won't be the best choice if noise canceling is your top priority, but for sports, they offer the best value for any Sony headset. The best budget Sony headphones are the MDR-XB50AP. These wired in-ears offer a decent sound for bass lovers at an affordable price. They have an above average build quality compared to other headphones in this price range. They're portable and compact enough to have on you at all times, which makes them a decent choice for commuting and everyday use. If you like the Sony brand and want something cheap you can easily carry around in your pocket, then the MDR-XB50AP are a good choice. Sony delivers a wide variety of headphone models that are geared for both casual and critical listeners. Most of their models deliver an above average sound quality, even the cheaper ones. 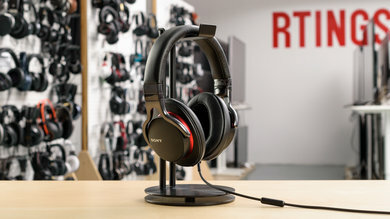 But if you want the best that Sony has to offer, then you may spend a bit more than you would with other brands, as their best-performing headphones often have a premium price tag.